A while ago I stopped by the shopping mall with a friend as she wanted to get a new bikini. I honestly was there only for the company and didn't plan on buying anything. But then we saw the Primor store which always gets my attention and I couldn't help but go in to have a browse. I stopped by the Sleek section of the store and was checking out what they have, thinking I need to get myself something from Sleek one day as I'd never tried their products. Then I noticed the Sleek Face Form Contouring & Blush Palette which turned out to be available in Medium so I swatched it. I am not sure if that was the biggest mistake or best decision ever. You know that feeling when your body is screaming with excitement and pure love but your wallet is yelling "Noooo". Well, that was it right there. After walking around the store for a bit, I came back and just had to have it. 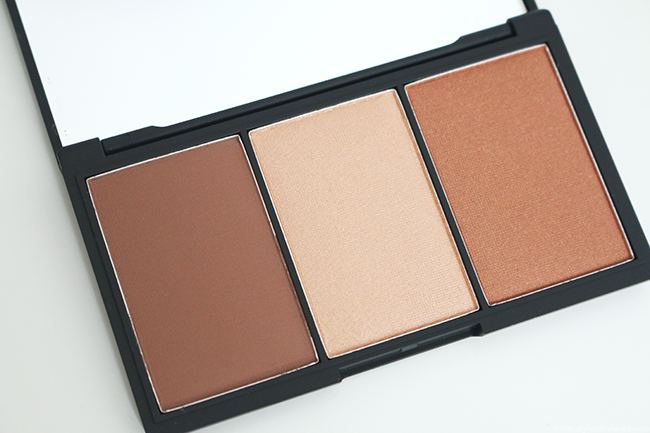 The sleek face form is a compact palette containing 3 products: contour powder, highlighter and bronzer/blush. The design of the packaging is simplistic, stylish and comfortable. It is also a great size for carrying around or travelling. 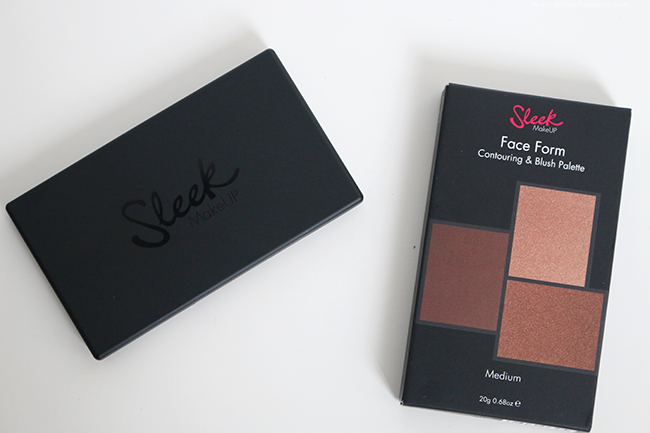 The face form isn't a pro contouring palette so if you're advanced and always like to do a proper contour then this may not be for you, but I think it is perfect for everyday which is exactly what I need. 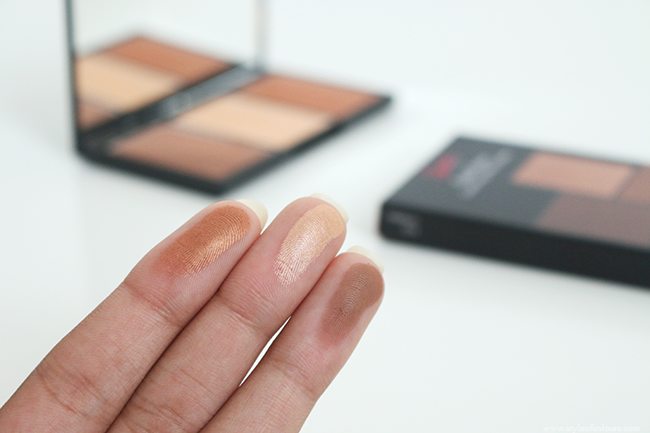 The colours are absolutely gorgeous and have just the right combination of matte+shine. The product applies evenly and blends very well which means even if you overdo it with one of the products, you'll still be able to fix it. I've been using this everyday for work and I do not regret buying it one bit. I can't wait to try some more sleek products because this one is amazing. Likes - colours are gorgeous, blends well. 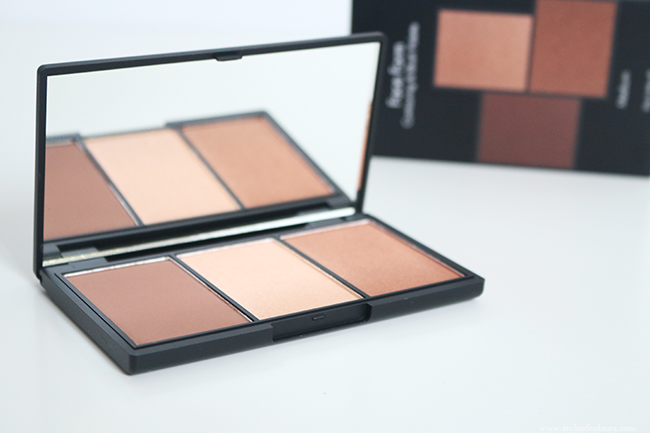 Do you have a favourite contouring palette?